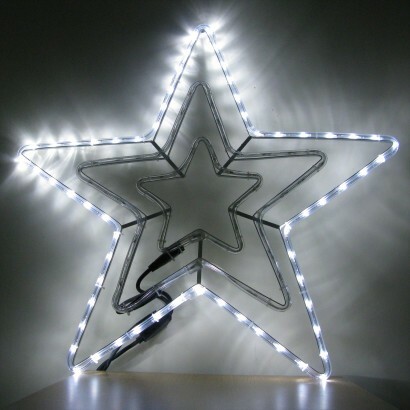 Suitable for indoor or outdoor use (plug must be kept indoors), this supersize LED star appears to expand, as there are three layers of rope light that light up in turn as if the star were growing. 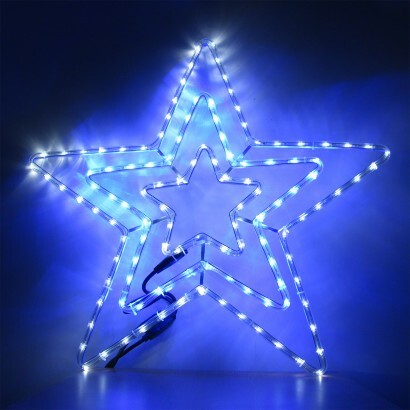 Truly spectacular and attention grabbing with sparkling bright white and ice blue LEDs. 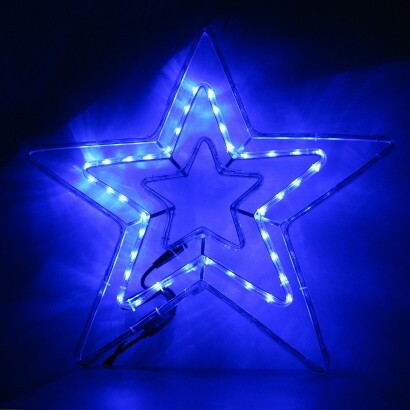 This is a well made product and looks very nice in my window. I find the transformer box spoils it somewhat as it hangs directly below the star for all to see, it perhaps wouldn't look so bad if the wiring was white rather than black, also the option to have it on static would be good.